What’s the Living Knowledge Network? 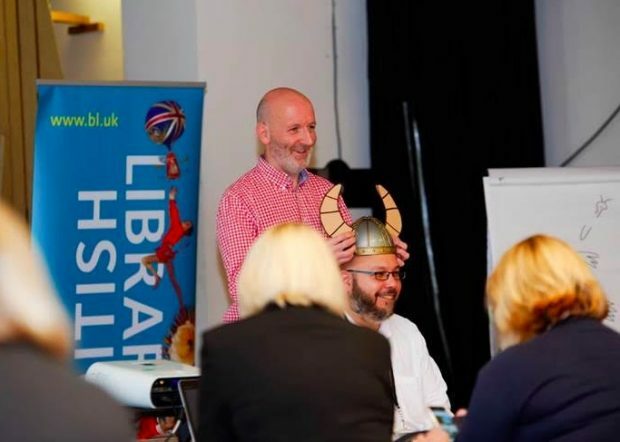 The Living Knowledge Network was formed in September 2016 and connects the British Library with 21 public library partners from around the UK with the belief that together we can do more. Initiated by the British Library, with founding partners the National Library of Scotland and the National Library of Wales, the network is a two year pilot project and a new way of working for the British Library. Together, we aim to facilitate knowledge exchange, provide joint offers to our audiences, and act as a shared voice to gain the benefits and power which come from being in a network. The pilot is funded jointly by Arts Council England and the British Library. One of the Network’s key aims is knowledge exchange so that, as a whole, we can work together to strengthen our collective capacity, capability and impact, and deliver world-class library services to diverse communities. We will do this through joint networking events, mentoring schemes, LKN seminars, and skills sharing days. The Living Knowledge Network’s first skills sharing day took place in December 2016. Librarians from around the UK came to the Norrish Library in Portsmouth to talk together, share ideas and learn collectively. Following discussions with Norrish Library, British Library staff, and Living Knowledge Network partners, we decided that the first skills sharing day would focus on experience and best practice around working with children under 12 and hard to reach families. The day also provided an opportunity for networking. Ultimately, we wanted to think about how, by working in partnership, we could do more for this group of people. We were delighted to be joined by Nick Sharratt, children’s author and illustrator, and Cerys Griffiths, Executive Producer in BBC Learning. They both shared their insights on working with children and their strategies for boosting engagement. 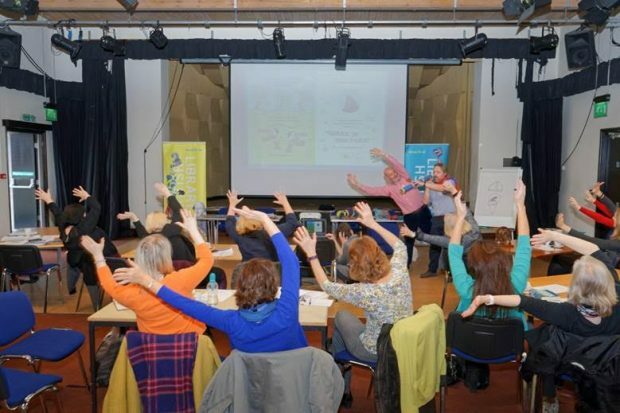 Nick Sharratt helped us learn that the content of books can generate activities, eg. Pants or Socks which can lead to designing sock animals or objects (Stegosockus or a Sock air balloon) and encouraged us to do our own inclusive draw-alongs. Cerys Griffiths shared BBC experience and told us that research shows that it is not so much brand that makes a difference, but activities that are accessible and open for everybody. She also emphasised the role of local libraries in making the social media campaign and national moments a real success. In group discussions, agreement was reached that partnerships with other local community and cultural organisations are extremely important as they expand the reach of libraries in relation to who they can engage, and improve the range of activities that can be delivered. Evaluation was also identified as a key theme to ensure that what is delivered is relevant and up to date. Clear outcomes and a clear progression of activities were agreed as important for sustained interest. And targeting and engaging adults (the parents and carers) is just as important as engaging children under 12. Feedback about the day was positive and feedback forms told us that all participants had new ideas to incorporate into their work. A second skills sharing day is planned for March 2017 and we look forward to new themes, ideas and connections. This looks like it was a wonderful day for those involved. What would be useful for everyone would be a simple practical guide on what has been learnt, with examples that everyone can share. This post is a start but is not sufficient for others to learn from the best practice. I'm concerned that otherwise the results of such excellent examples of networking will be kept only to Network members. An A4 sheet or two produced online at the end of such events would be very useful for all and would not represent much additional cost to what must have been quite an expensive day. Thanks for your comments, Ian. It’s always been our ambition for the Living Knowledge Network to have an impact across the wider sector and in response to your question we (and other network members) will keep be posting emerging ideas and findings via our twitter account @BL_LivingKnow and on the British Library’s own Living Knowledge blog http://britishlibrary.typepad.co.uk/living-knowledge/ – a summary of tangible learning points from the session will appear shortly.